** Online payment service can be currently availed by HDFC, IDBI and ICICI Bank account holders, who have the facility of NetBanking. ** Using this service you can make payment for yourself, friends and relatives. Currently this facility can be used for making Water and Property payments and will be very shortly made available for other services too. ** Regular verification of the registration details by the registered citizen would be made. KDMC reserves the rights to deactivate the registered user in case the registration details are found to be invalid. Go to the official website, click on the online payment option in main menu list. Step 2 : Enter Property No./ Connention No. Step 1 : Enter Connection No. Step 3 : Click on View Button. KDMC Birth certificate requisition,the (Next>>) button will guide you through all steps. 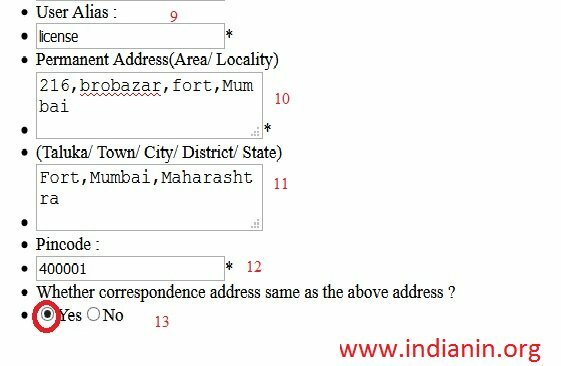 Please complete the data as required to enable us in fast redressal of your application. The (Next>>) button will guide you through all steps. Please complete the data as required to enable us in fast redressal of your application. 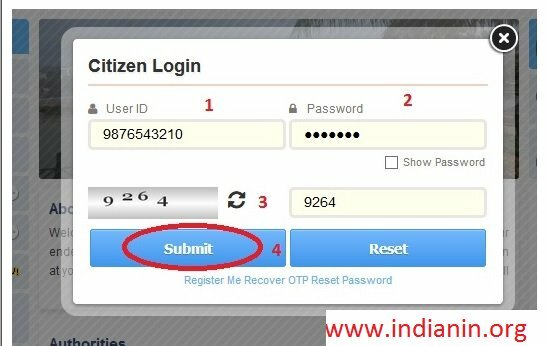 ** Citizen will have to access RTS web portal to avail various RTS services. 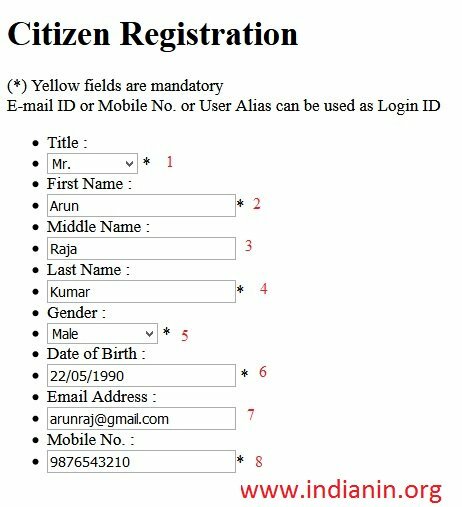 ** New user ha sto register using “Register Me” link from Citizen Service login. ** Registered user will use his/her login credentials and fill in the application form for service that he/she wants to apply for. ** Once the application form is filled, citizen will upload the required documents where applicable and make the applicable payment if applicable. ** Citizen will be given unique Application No which can be used for further tracking. SMS and Email (where email id has been given) will be sent to Citizen upon successful completion of the service. ** Citizen has to submit/send the hard copies of documents to Municipality concerned department/citizen facilitation center. ** Timeline for delivery of RTS starts once the Designated Officer receives the completed application. That is in case where documents are not applicable; service duration starts from the date of complete application and payment. In case where documents attachment is applicable, it would start from the day when documents are submitted to Municipality and verified. ** Information/Output uploaded by Municipality is not satisfactory. ** Service is not provided within the definedperiod. ** Citizen not satisfied by the remarks given for rejection of an application. Step 8 : Enter Mobile No. Welcome to Official Website of Kalyan Dombivli Municipal Corporation. In our endeavor to offer quality Citizen Services we are now happy to bring the Corporation at your finger tips through this portal We are sure that the citizen of the new age will draw immense benefits from the new Point Click KDMC We offer host of Citizen Services to you on a Real Time basis . The services include important services like Complaint Lodging Status Monitoring Forms Download of all services Applying online and so onWe offer host of Citizen Services to you on a RealTime basis.